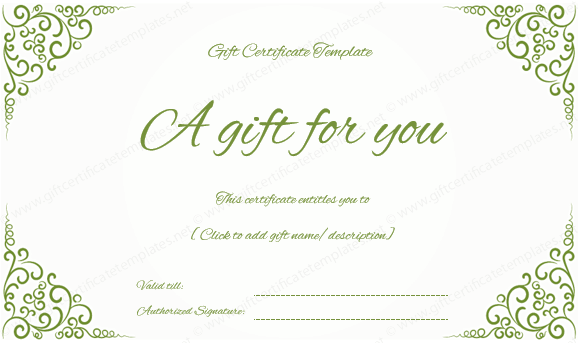 Personalized Gift Certificates are the go-to present for your loved ones. 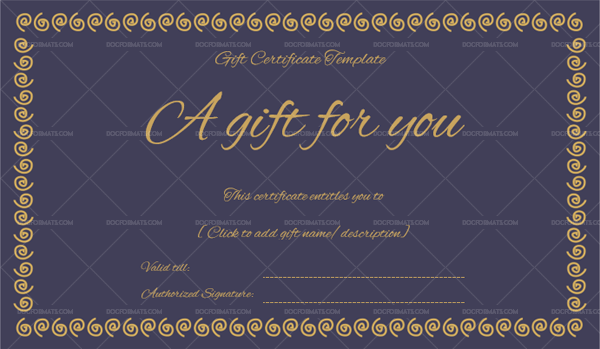 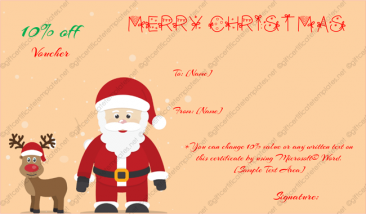 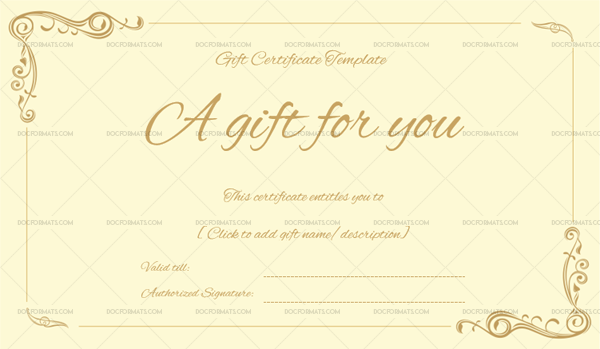 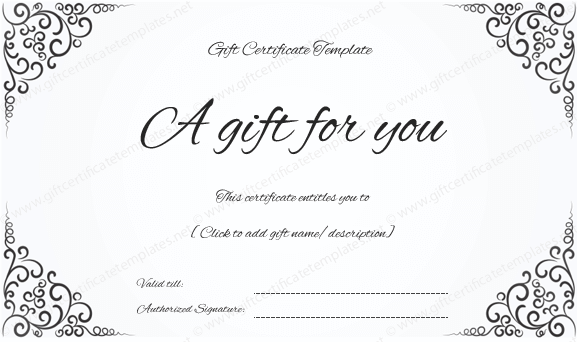 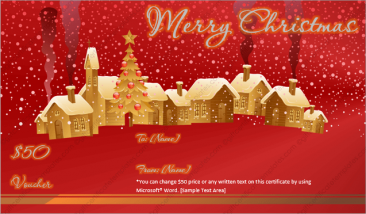 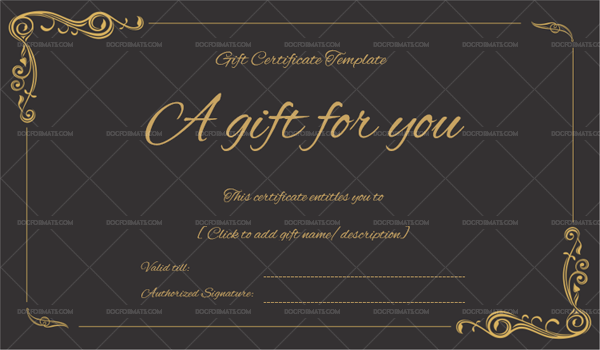 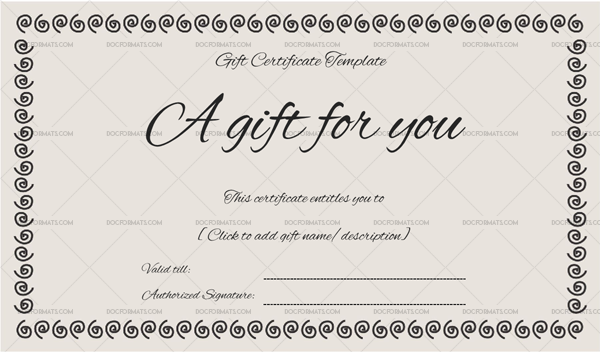 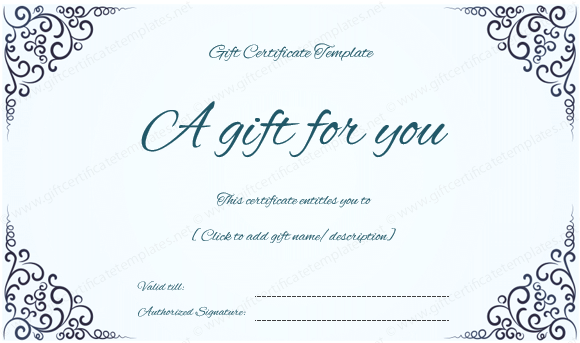 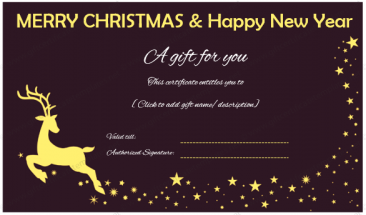 You can get started today by downloading a gift certificate template for free. 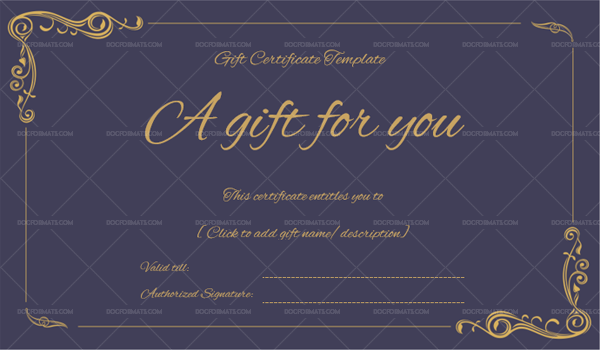 The gift certificate template comes with fancy boarders and stylish calligraphy. 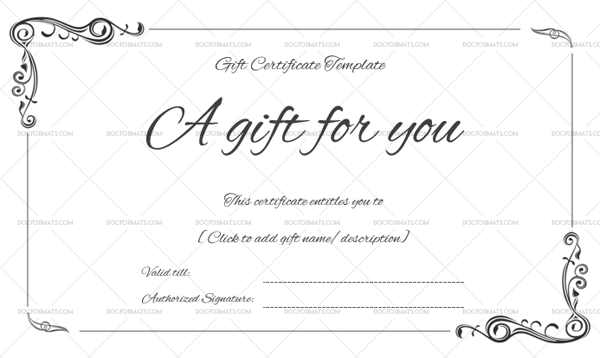 At the top of the gift certificate template, you can replace the words “gift certificate template” with a slogan or phrase. For example, if the certificate is for a wedding anniversary, you can modify the template to say “Happy Anniversary”. 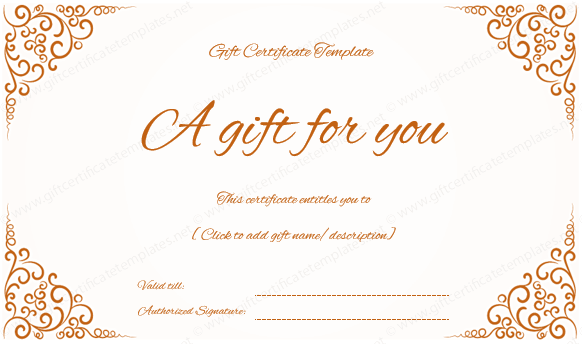 Under the heading are the words “A gift for you”. 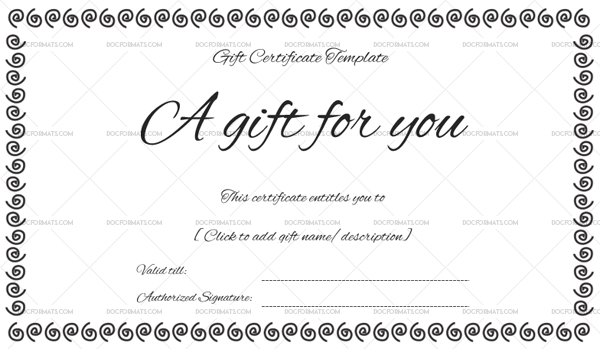 You can change that you to something more personal like “A gift for my angel”. 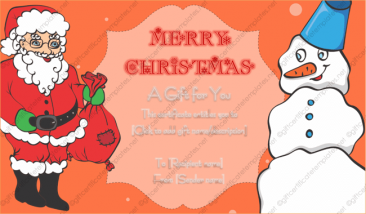 Next, you have a place to click to add in the gift name and the gift description. 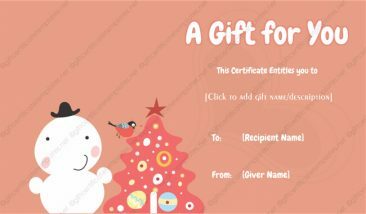 Then, you can place the expiration date next to the “valid till” line and then you can make it official by signing your name.